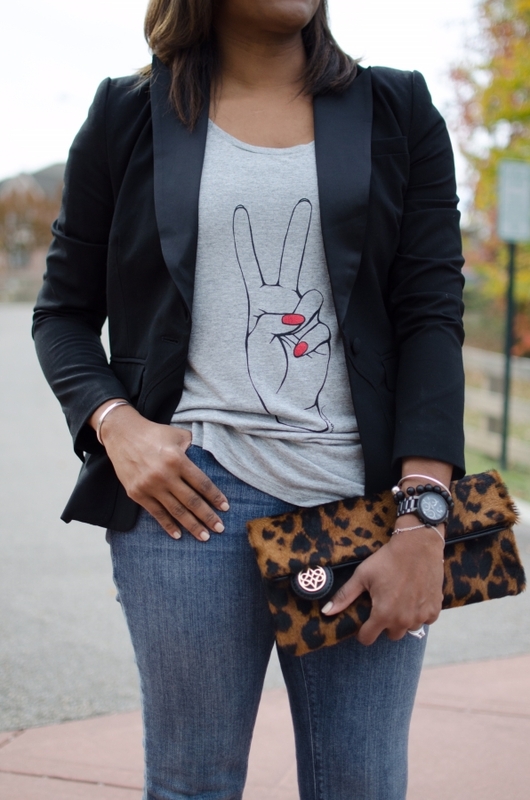 If you haven’t paired a graphic tee with a blazer, you haven’t fashionably lived yet! It’s an easy yet polished outfit choice that exudes a cool, casual vibe. It’s clearly a favorite of mine, so what’s the big fuss, you ask? 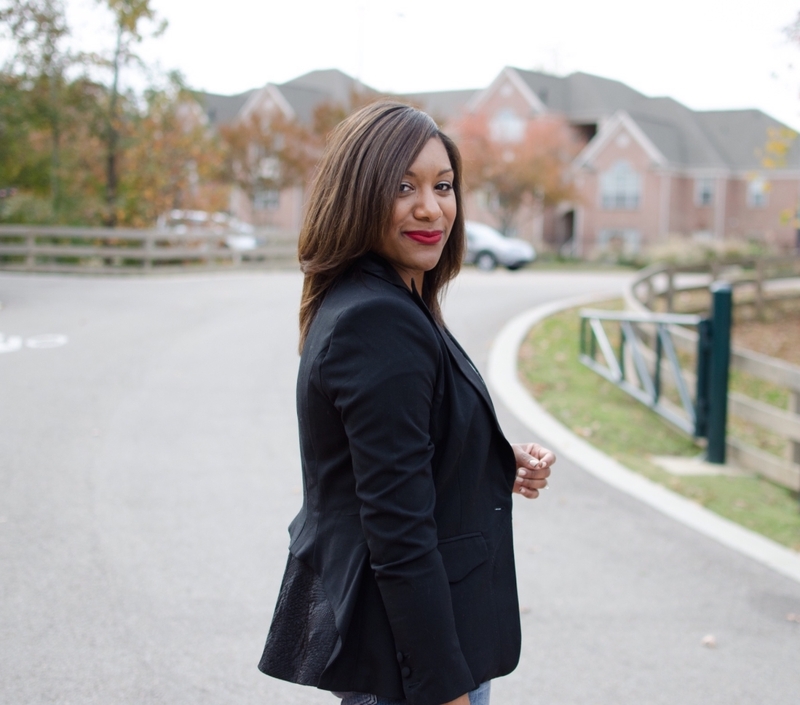 I’m super excited about this particular blazer from the Altuzarra for Target collection. I had to stalk it online, and I’m so glad I did! It’s sleek and slightly structured with a few small details to make it a showstopper. Peep that peplum in the back and those satin lapels. Chills. The fit is equally amazing, and it will be in heavy rotation this fall/winter. Is it perfect for a casual G.N.O. turned par-tay? Why yes, yes it is. 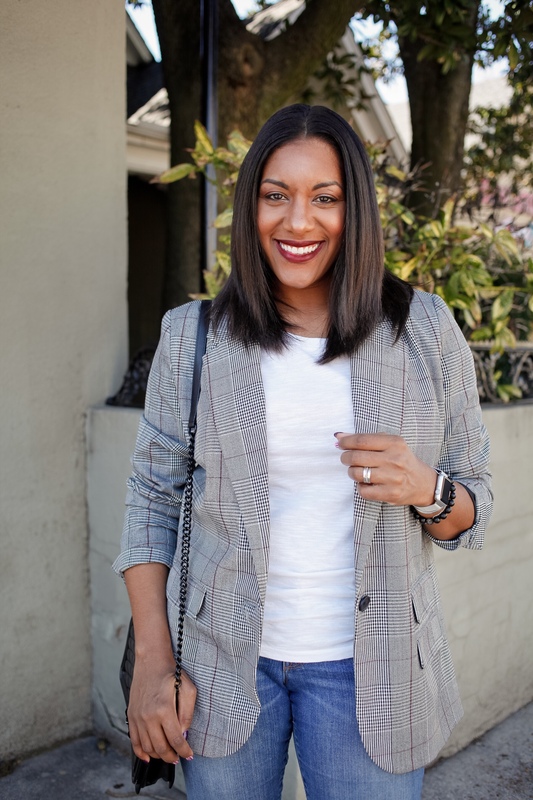 According to Q, the tee and blazer combo is timeless and Classic and can fit many style personalities. 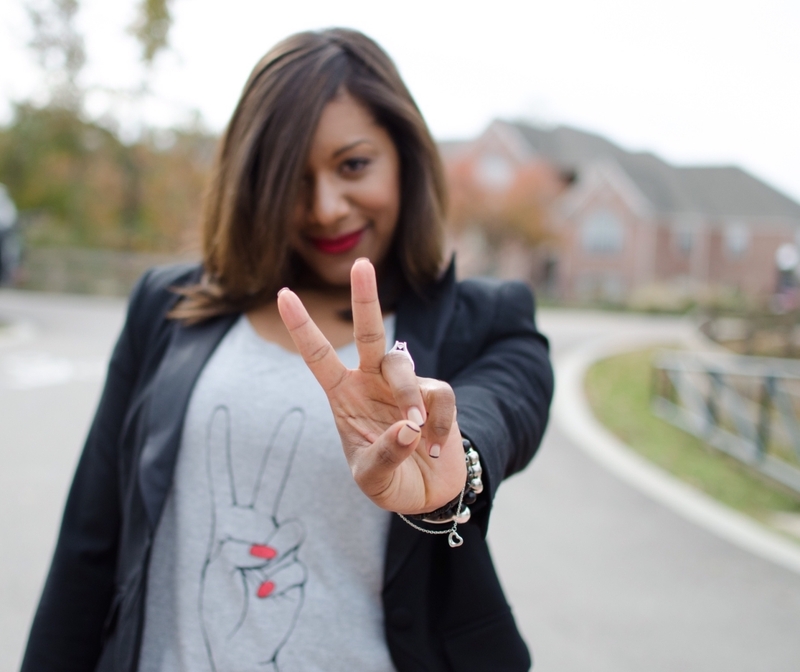 Add a graphic tee and unique accessories and you’re sure to be the coolest lady in the room. Hi, new follower here. I love this look. I need that blazer too. Thanks so much! I can’t say enough great things about this blazer! It’s truly a gem from the collection! And thanks a million for following! !